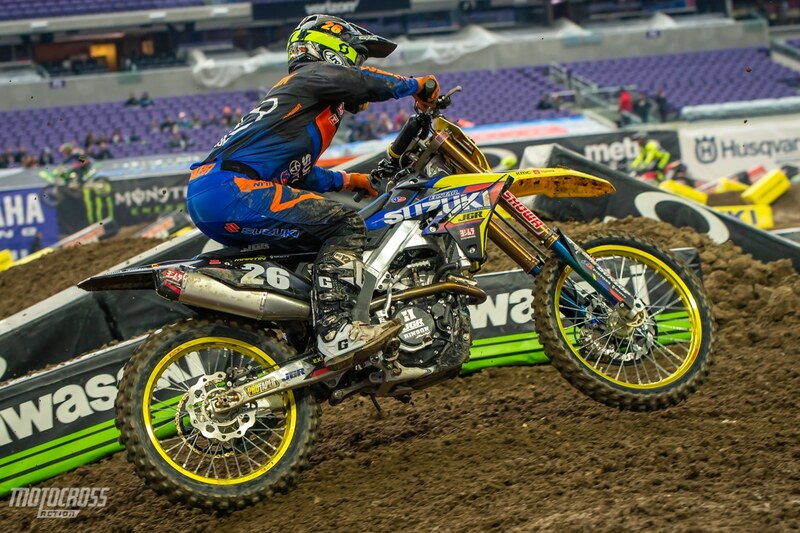 250 main event start in Minneapolis Supercross. 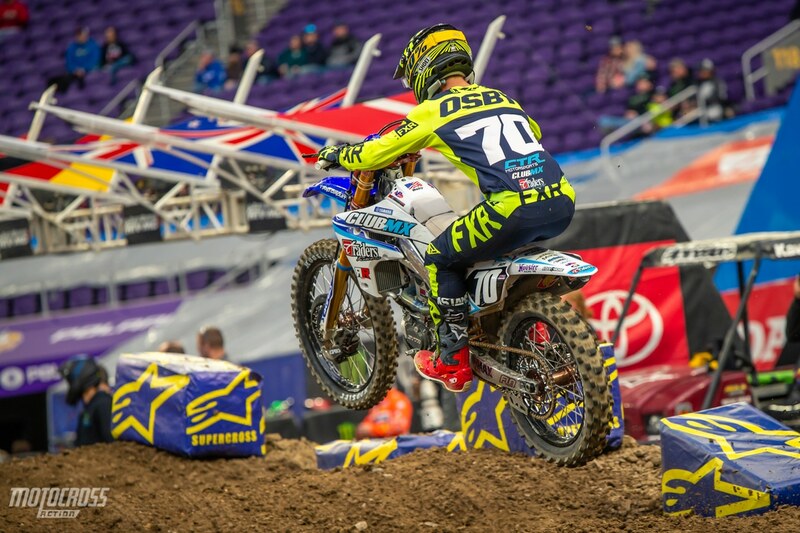 The 2019 Minneapolis Supercross did not disappoint! 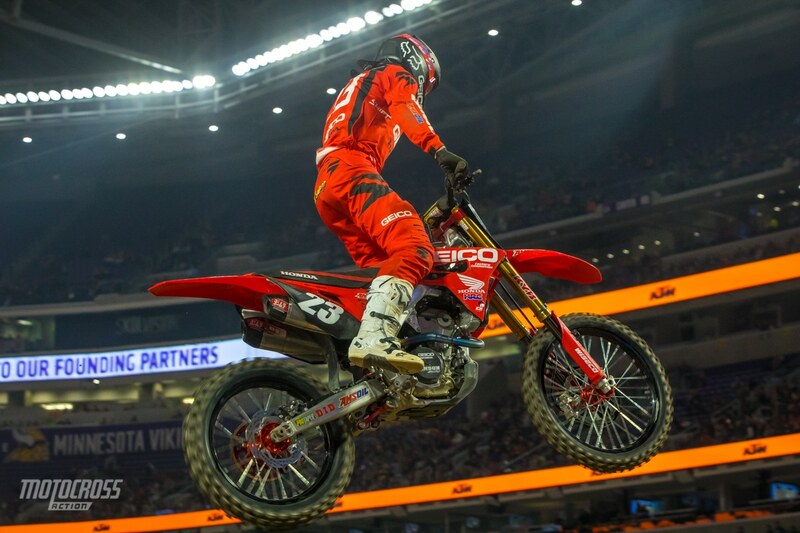 The first 250 Main Event of the East Coast division was very exciting. These riders have been watching for the last five weekends and the anticipation was built up in them. 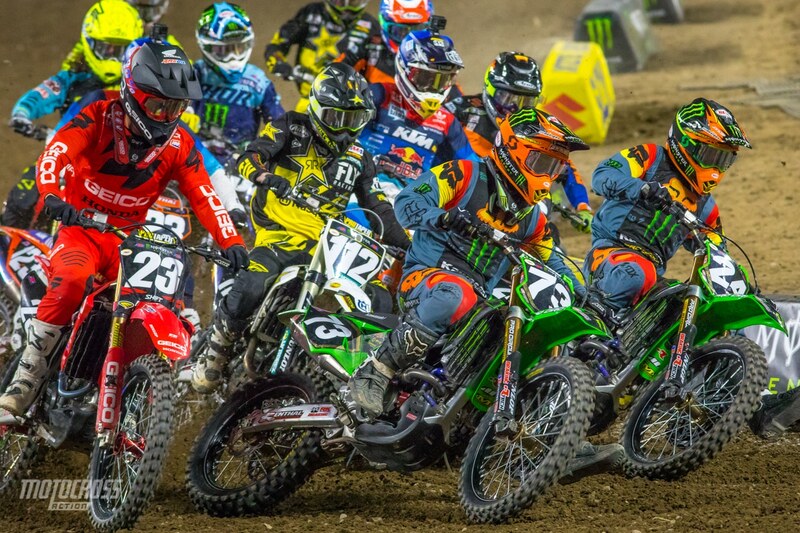 Austin Forkner grabbed the holeshot and he never looked back. 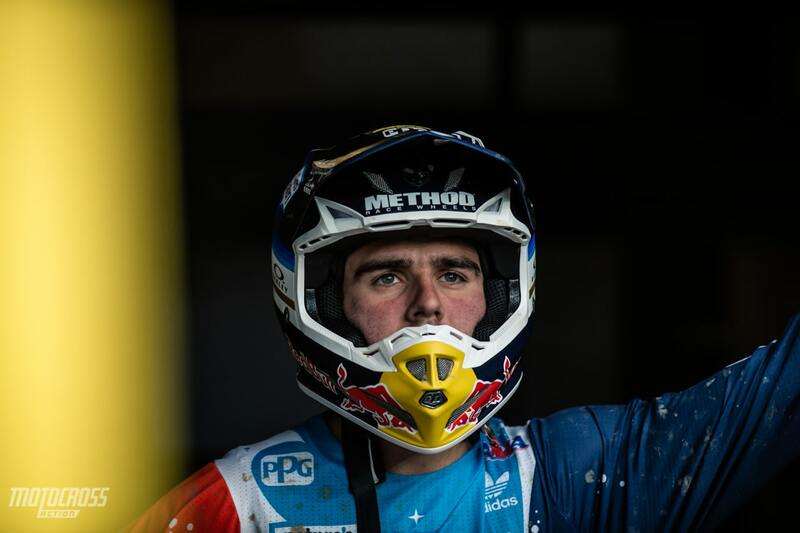 Jordon Smith was able to finish second with Justin Cooper rounding out the podium in third. 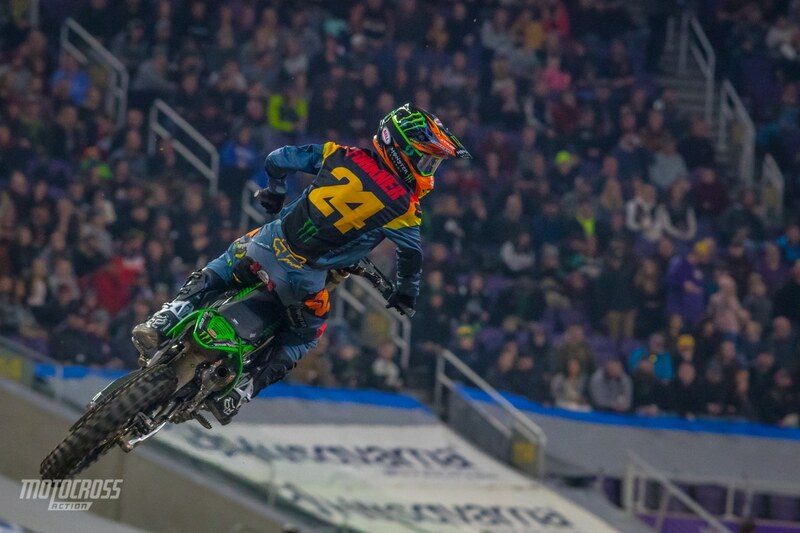 Austin Forkner grabbed the holeshot and won both his heat race and main event in Minneapolis. Jordon Smith was lucky to even race the 250 Main Event, his mechanic realized that he had a flat rear tire on the starting line right before the start. Jordon’s mechanic changed the wheel with only seconds to spare before the gate dropped. Chase Sexton finished fourth in the 250 Main Event. 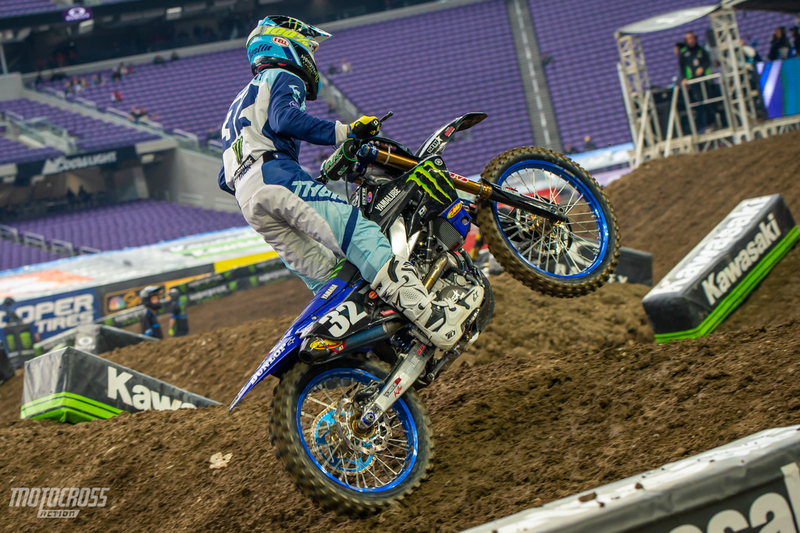 Justin Cooper is happy to finish third in his second Supercross race of his career. 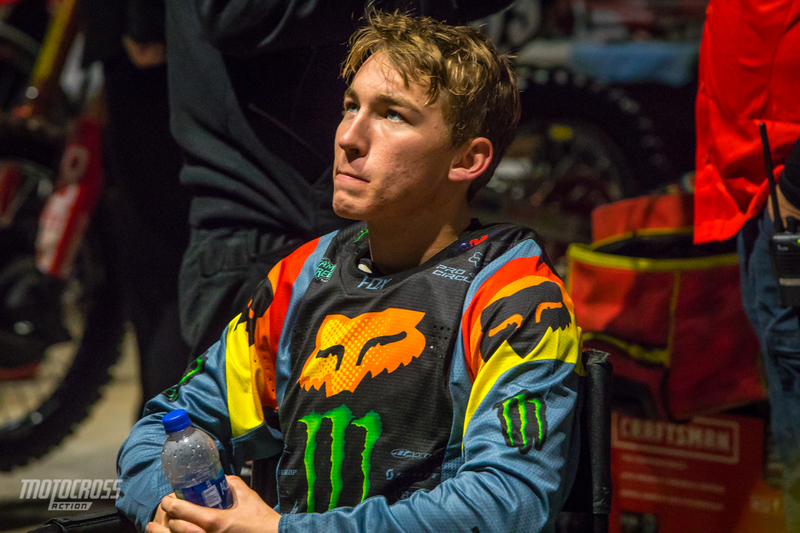 The young Monster Energy Pro Circuit Kawasaki rider, Austin Forkner will have the red plate next weekend in Arlington. The 250 LCQ had to be the craziest LCQ race of 2019 thus far! There were all kinds of battles and crashes throughout the race but it was Josh Osby, Lorenzo Locurcio, Chase Marquier and Wilson Fleming who would qualify for the main event. Marshal Weltin and Jayce Pennington put on a hard charge and they battled back and forth, but it wasn’t enough to make the main event and they’ll have to try again next weekend. Josh Osby rode a smooth LCQ and easily won it and qualified for the main event. Jayce Pennington finished fifth and missed the main event by one spot. Austin Forkner grabbed the holeshot and checked out in the second 250 heat race. Mitchell Oldenburg and Blake Wharton battled for second, and after Blake made a mistake in a rhythm section Mitchell was able to get around him. So far the track is holding up nicely. 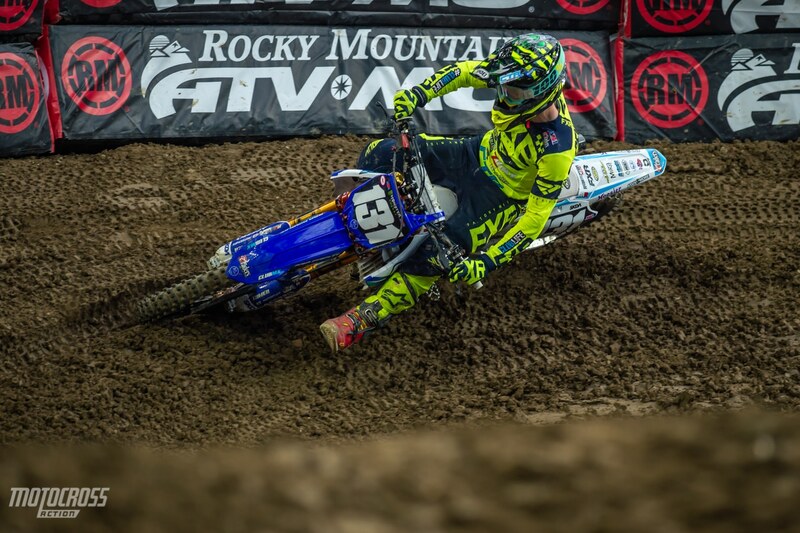 It’s not as rutted as it was during qualifying. 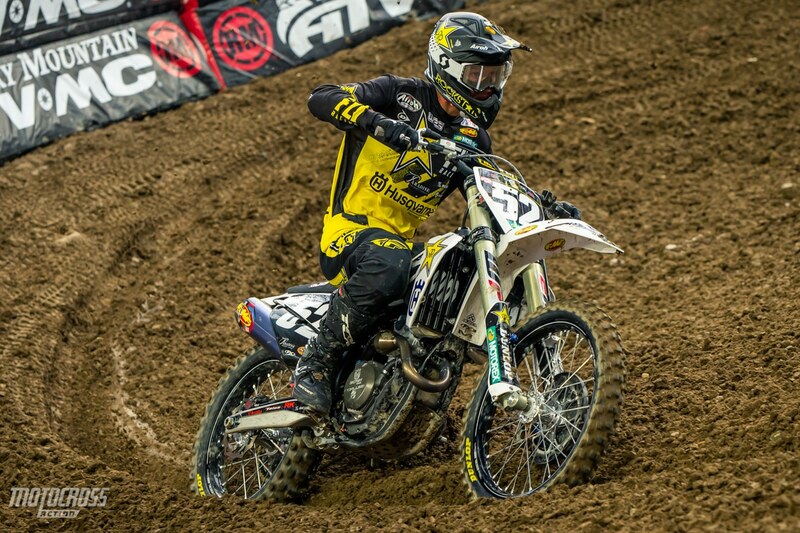 Mitchell Oldenburg finished second in 250 heat number two. 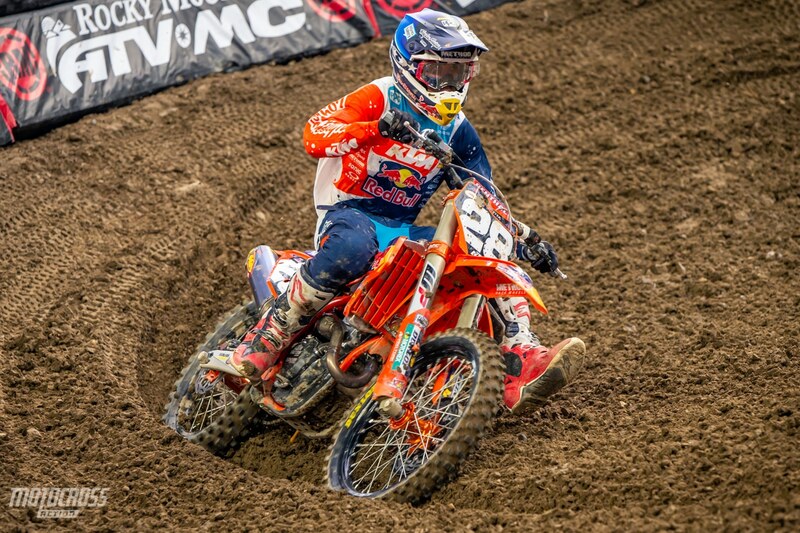 The rookie, Jordan Bailey finished fourth in his first ever Supercross heat race. Blake Wharton came out of retirement in 2018 and he is on the gas so far in 2019. Blake finished third in his heat race of 2019. 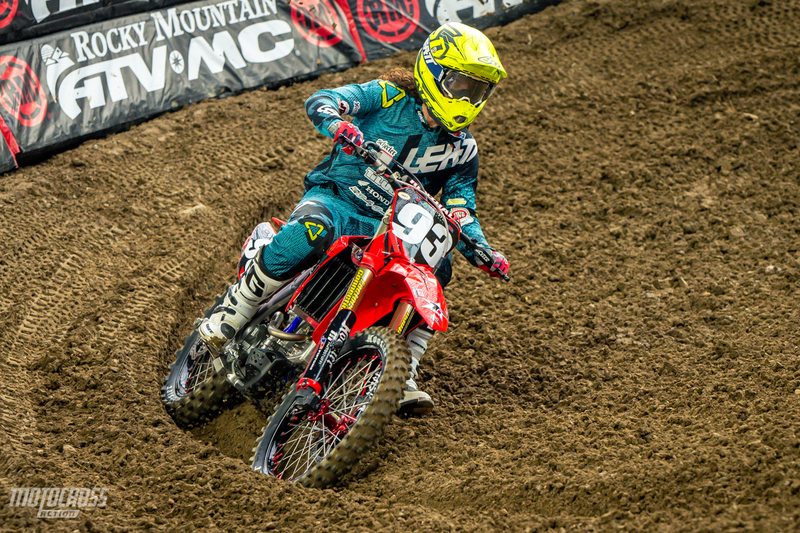 Jordon Smith grabbed the holeshot and won the first 250 heat race of the East Championship. Jordon Smith rode a clean race to win the first 250 heat of the night. 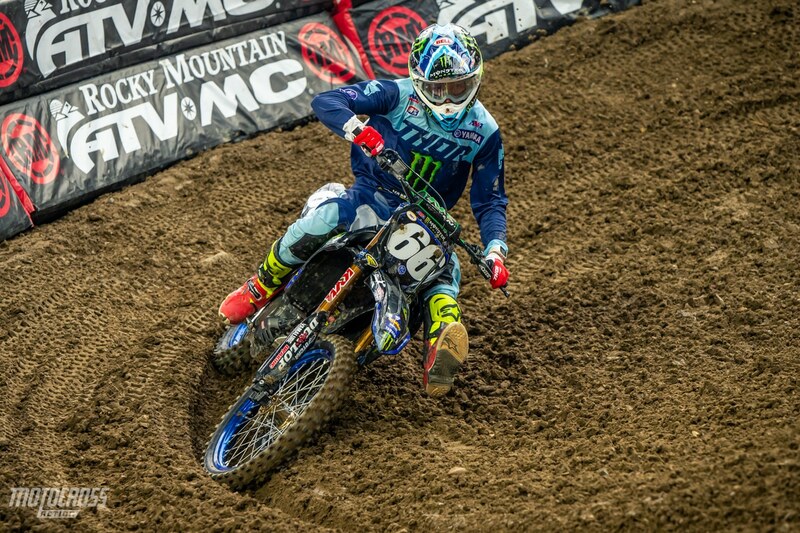 Alex Martin kept Smith honest the whole race. He finished second just three seconds behind Jordon at the checkered flag. 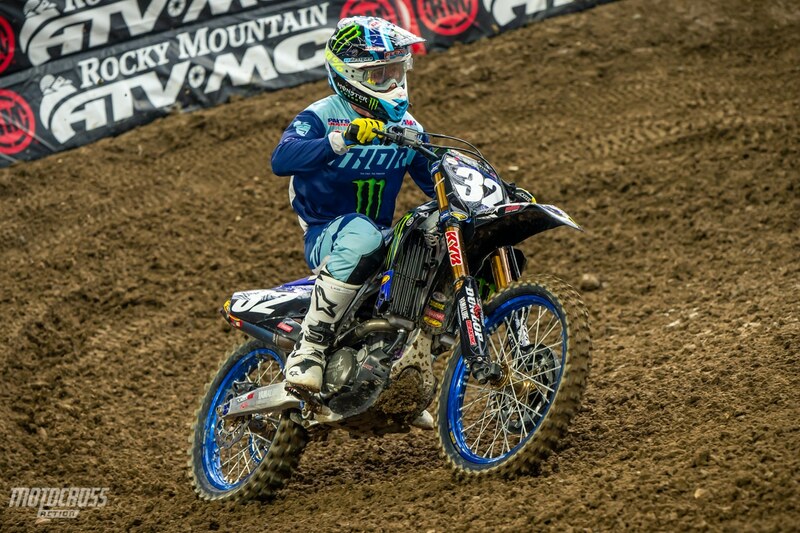 Justin Cooper finished third in the first heat.